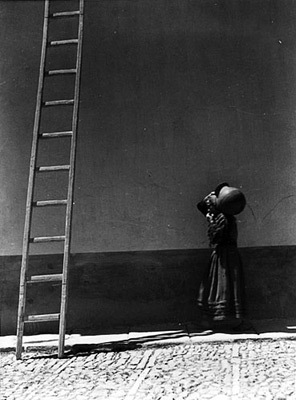 Manuel Alvarez Bravo is Mexico’s most accomplished and renowned master photographer. 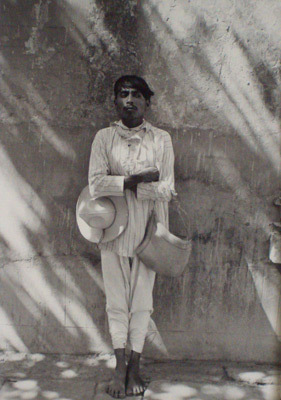 His lyrical black & white images, often grounded in traditional Mexican life are exhibited in galleries and museums around the world. “I don’t search for the encounter. In reality, art is like that. We don’t seek but we find.” Alvarez Bravo is a defiant non-intellectual. He proudly casts himself among those who work intensely at their craft without overlaying artistic theories. His youth, spent in an atmosphere of political rhetoric during Mexico’s revolution greatly affected him. His education was cut short, and by the time he was fourteen he was employed by The Treasury Department where he worked for the next 15 years. During that time he studied accounting, painting, music and literature. 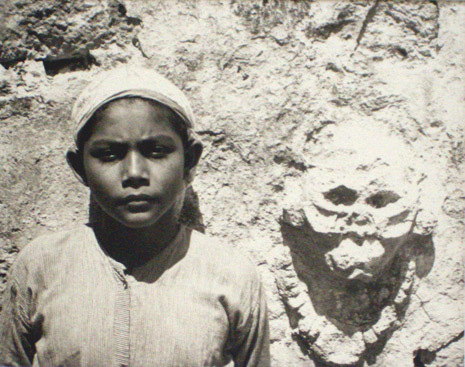 In 1924 he bought his first camera and began to emulate Hugo Brehme, Eugene Atget and Jose Guadalupe Posada. 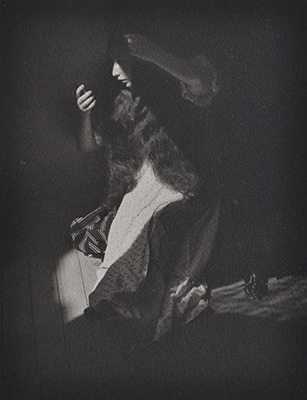 Atget’s images taught him to “see and relate to daily life”, Posada to see more deeply into the rituals and fiestas, Brehme was his tutor and himself a follower of Guillermo Kahlo (Frida Kahlo’s father and a German pictorialist). 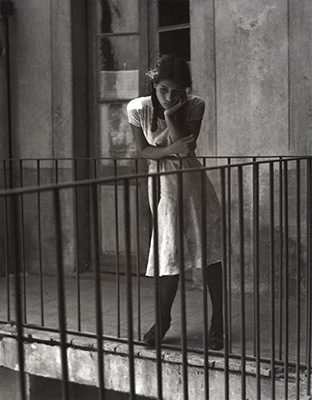 Alvarez Bravo’s friend Tina Modotti asked him to send a portfolio to Edward Weston. It was Weston’s favorable critique that was fundamental in his decision to make photography his life-time career. 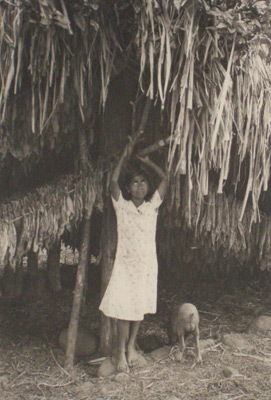 Modotti left Mexico in l930 and gave her 8 x l0″ camera to Alvarez Bravo when he replaced her at Mexican Folkways Magazine as staff photographer. Among the many threads Alvarez Bravo weaves into his work is one of surrealism. Bravo says, “The invisible is always contained and present in a work of art which recreates it. If the invisible cannot be seen in it, then the work of art does not exist.” This challenge is met in all of Alvarez-Bravo’s photographs. Bravo’s photographs have many influences; Western religious/Christian and traditions, European art, and the mythology of ancient Mexico. 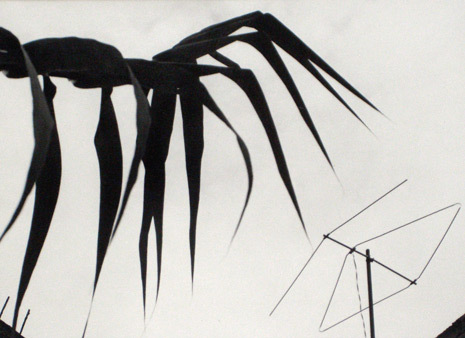 His photographs are imbued with symbols and hidden meanings. 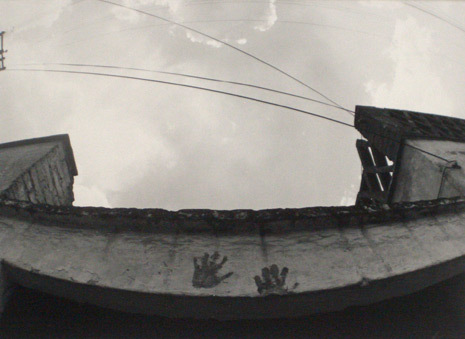 Along with his own work in photography Alvarez Bravo established a foundation for publishing books on Mexican art, developed a permanent collection for The National Museum of Photography in Mexico, and has been a mentor and friend to scores of younger, contemporary photographers and artists in Mexico. His numerous one-man exhibits include exhibitions in France, Russia, Brazil, Cuba, Spain, Israel, and the United States. His photographs are housed in museum collections around the world. He is acknowledged as a master in both gelatin silver and platinum prints.